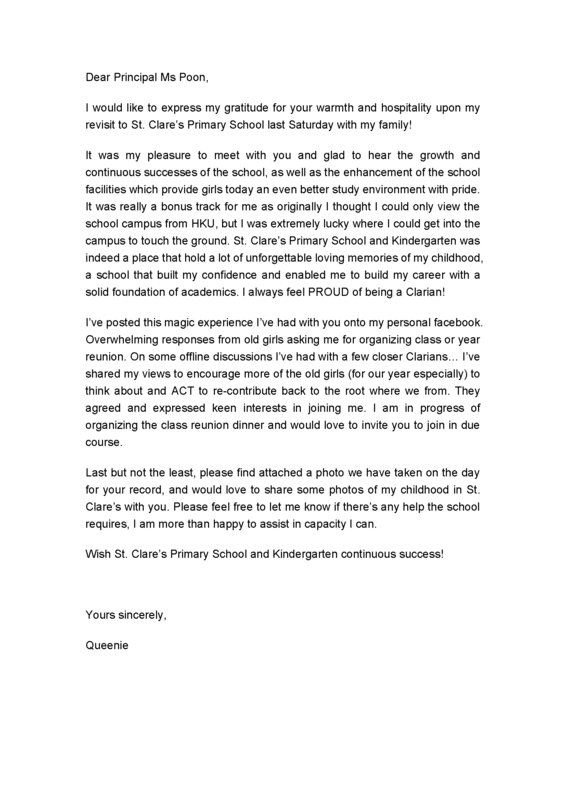 our students got to know more about the Clarians’ growing-up years. 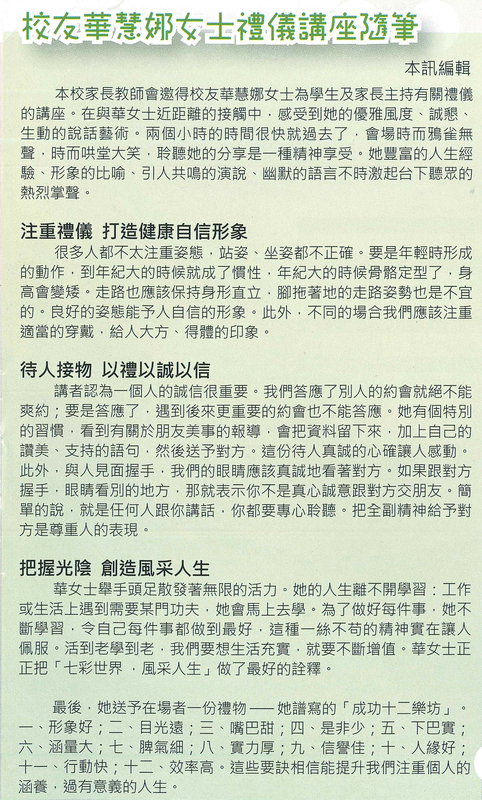 their dreams as students and their accomplishments in life so far. 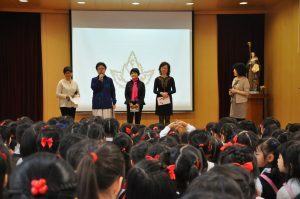 It was a valuable experience for the students who thoroughly enjoyed themselves. 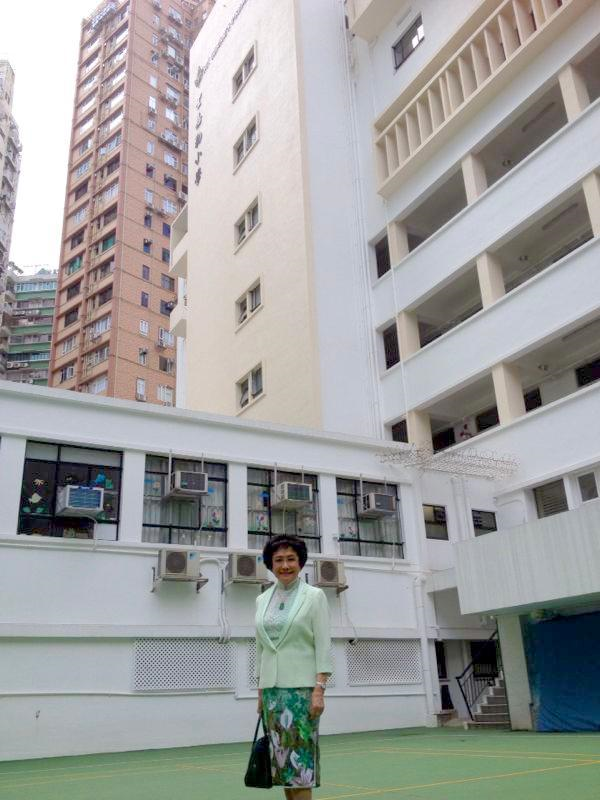 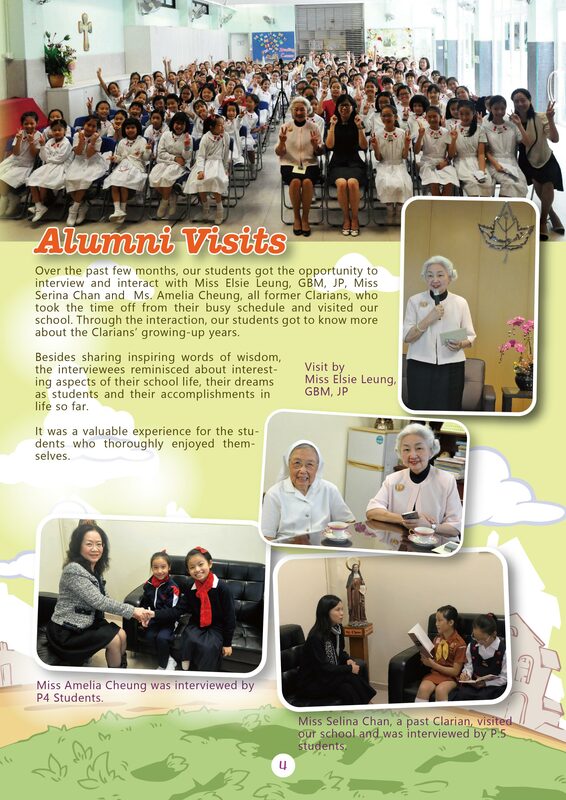 On 24th March, 2015 one of our alumni, Ms. Jeny Yeung, came back to her Alma Mater to share her joyful reminiscences of her days of studying at ST. Clare's Primary School. 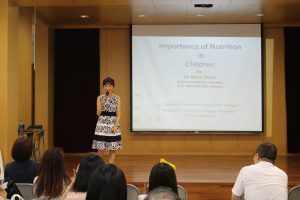 On 16th May, 2015, another alumni member of our school, Dr Mimi Sham delivered a talk to the parents on children's diet and nutrition.